The littlest in our family is turning 18 months old next month. He is now extremely exploitative and always wanting to be engaged. 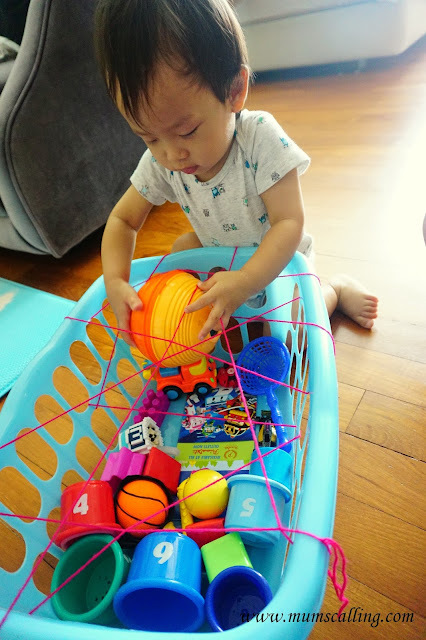 As much as I can, I'll challenge myself weekly, to keep up with his growth, engaging him in sensory activities that taps on his basic senses of sight, smell, touch, hear and taste. 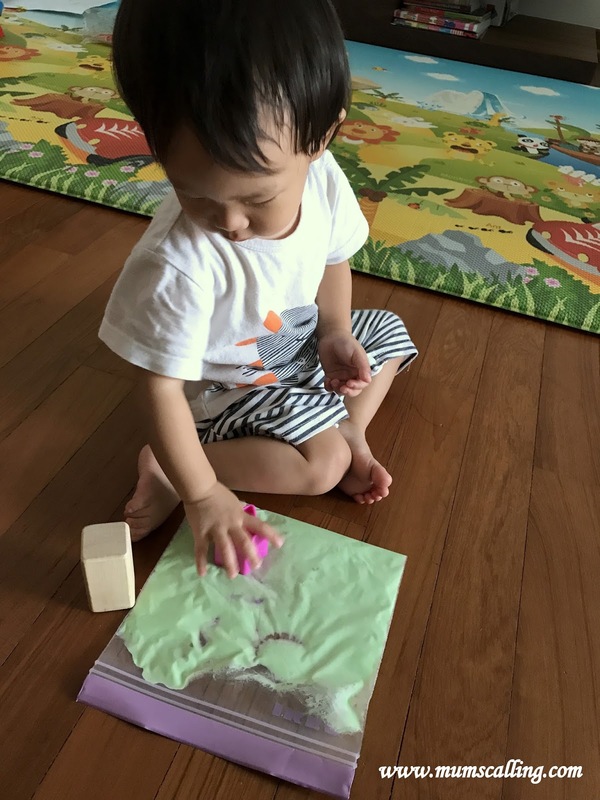 Sensory play is one activity that stimulates a child's most familiar and basic ways to explore and perceive new information. Here are 5 sensory play ideas we did in a week, sparing Saturday and Sunday, as they are good days to venture outdoor. Freeze coloured watered to make coloured ice cubes! 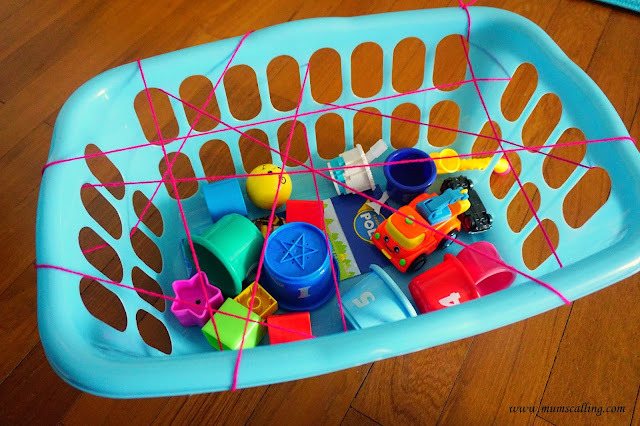 Use them for play and drawing. Juboy loves that coldness and masterpiece he got from those cubes. After emptying his laundry basket, web it with yarn and put some of your child's toys in for him to navigate out. He will choose either patience or frustration while trying to retrieve them. I witnessed a mix of both emotions. 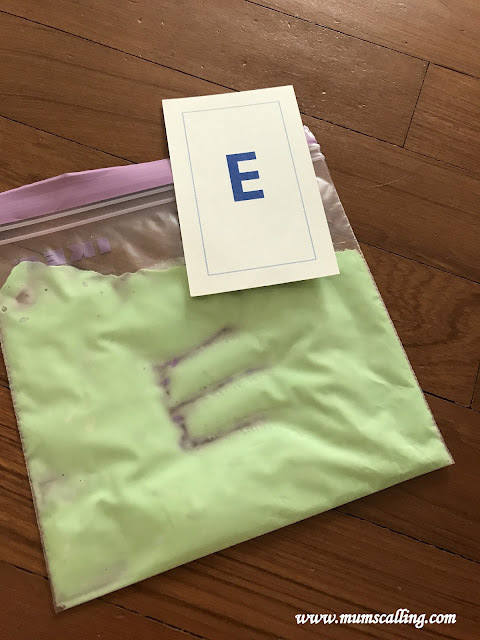 This squishy bag is really easy fun for write and erase. We wrote letters and did shapes on it. You may even put small toys in it! Mix the flour, water and drops of colouring together. Pour it into the zip lock and seal tight. You may use your finger or a cotton bud to do writing on it. 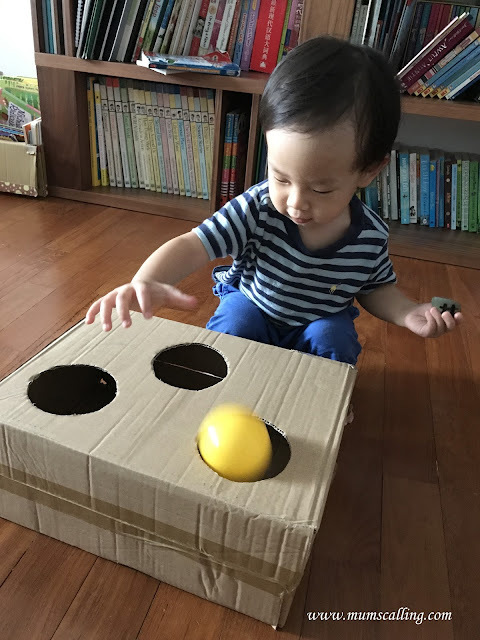 Use a small box and cut out some circles, good enough size for your ball to pop in. I manged to cut three circles out of my box. This is so fun that even the older kids joined in for play. They stood from a distance and challenged themselves to aim the ball in. 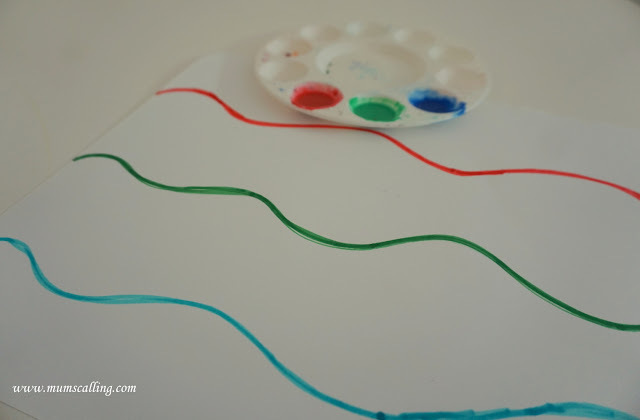 Draw coloured lines and prepare colour paint matching those lines. 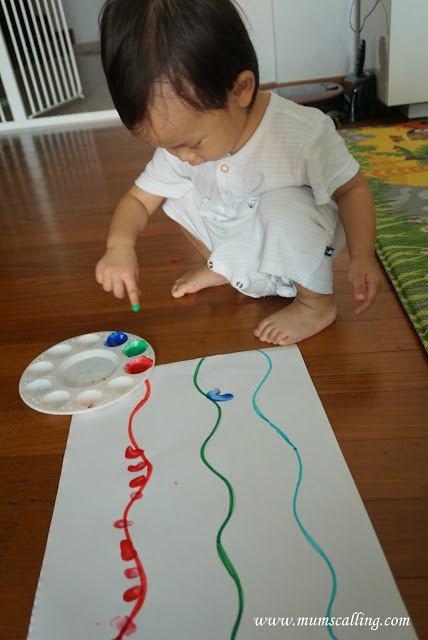 I guided Juboy to finger paint the colours on the respective coloured line. 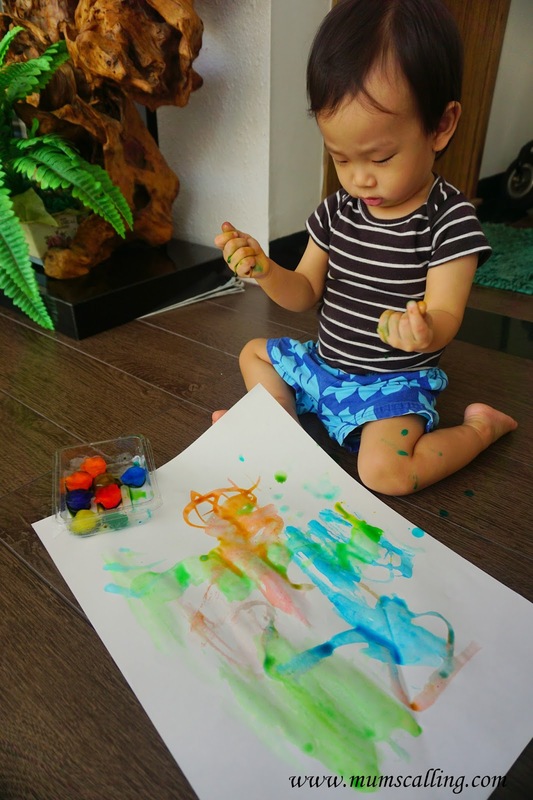 Which eventually, he decided to paint everywhere and anywhere. Even on the floor! Whichever way, as long as they are having fun with colours. I sure took a long break from such sensory activities. It is so wonderful to be starting school with the youngest of the family. 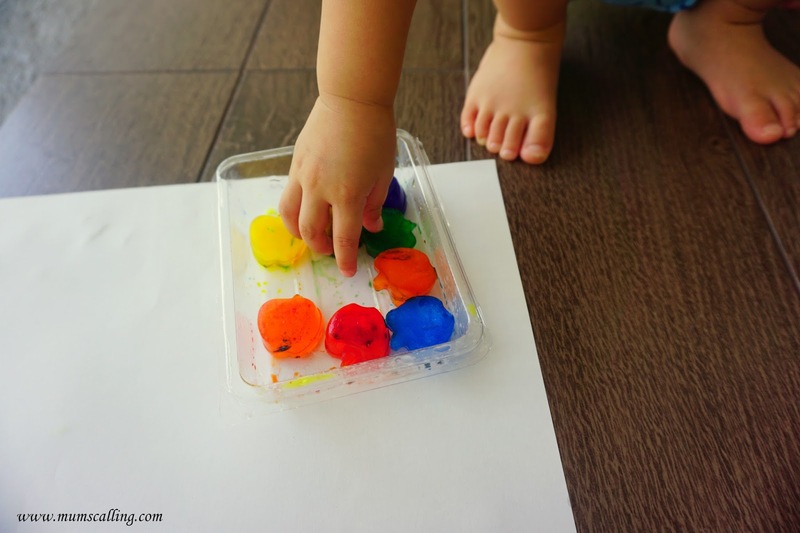 Sensory play opportunities are great for teaching and guiding a child's learning journey! It is true when we say kids learn most from play. Aiming to share another week of sensory fun! 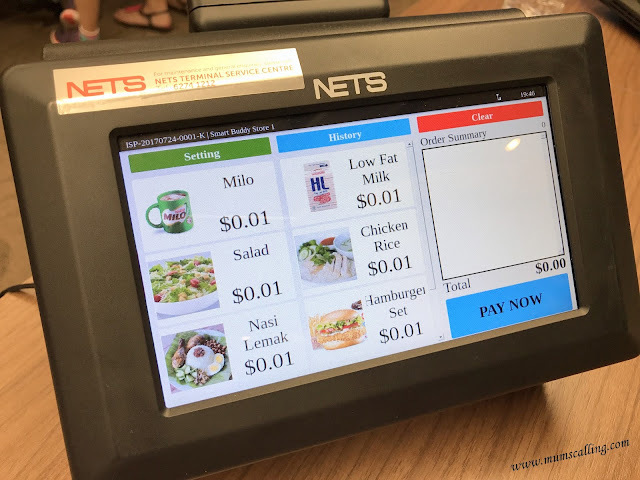 Going cashless isn't very much new in our century, but moving swiftly to the different and new modes of payments is one we need to quickly comprehend. Considering our Smart Nation push, more ideas will come. 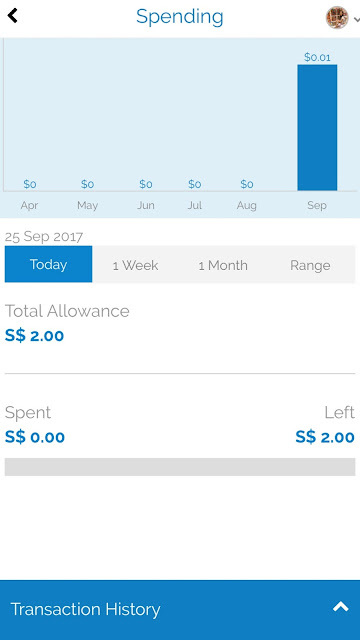 Being a parent, what are your thoughts when you read of primary school pupils using smart watches to manage their spending? Very honestly, I didn't digest the idea well when I first hear of it. What is happening to the opportunities of being able to count physical cash?!! The Smart Buddy Programme is an initiative by POSB. It is the world’s first in-school savings and payments wearable on your child’s wrist. 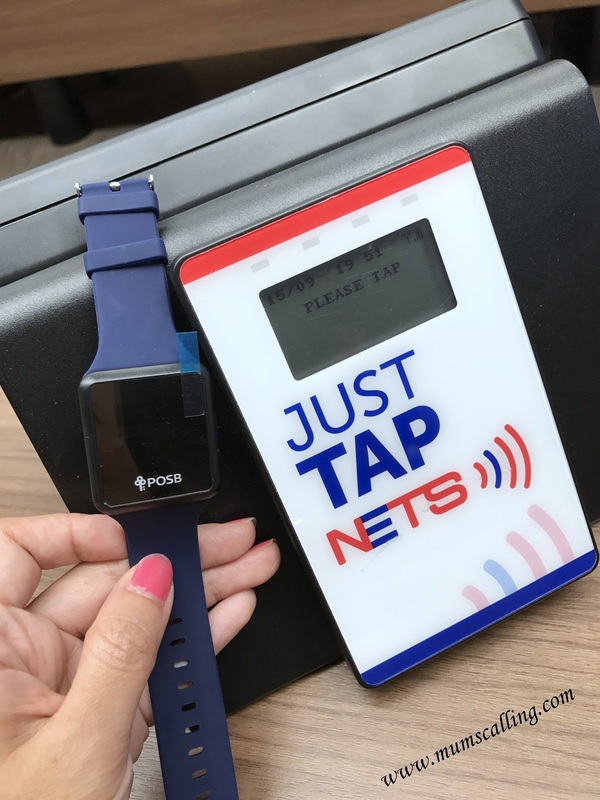 It allows your child tap to pay in school and at selected merchants (Popular, KFC, Pizzahut, Sheng Shiong etc. ), check on balances, and track fitness levels (health steps and calories counter). All with a tap on the terminal or a simple push of a button. Paired with a mobile app, parents can instantly allocate allowances, check on savings or spending, and be informed of your child’s whereabouts with the bus tracker and in-school locator feature. You will know what they had for lunch - tuckshop or bookshop! It is linked to the parent's bank account with a one time set up of daily allowance up to $100. You may reduce daily limit accordingly. It's $2 daily for Jazz. And no, there's no overdraft, what you limit is what your child gets to spend daily. 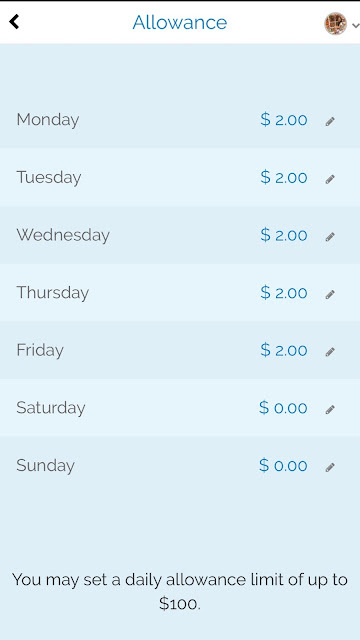 Being able to set allowance up to a week reduces the probability of forgetting to give allowances. It is also a good track of their monthly spending and savings. If your child has an ePOSBKids account, you may also opt to auto transfer the savings in. While some schools have already embarked on this programme, some are more hesistant. When I received the invitation to know more about this programme, I was hesitant about turning up even though there was much curiosity within. I was firmed that doing the physical practice of counting cash daily is a good virtue. But I knew, it's just a matter of time how this programme will eventually kick in to all schools. Smart Nation, remember. Regardless of little and big citizens. For trial only. 1 cent trade is extinct! So yes, I attended. And what spurred my attendance to it? That very week, Jazz recounted her incident of not having enough money for lunch during her CCA day. A kind friend had to loan her 70 cents. I queried and ensured she had the correct amount of allowance. She then related that she walked off without her change during recess! Her food was $1.50 and she gave the stall aunty $5. That was an additional $3.50 that went into blessing the store aunty. I did think deep and wondered why didn't aunty call out or attempt to locate her? Oh well, it's her carelessness to begin with. And ahem, she is always so overwhelmed by food that it was her third incident of walking off without change! I'm losing quite some money at the expense of her forgetfulness. Staying positive, such forgetfulness does happen to adults at times too. I was then more convinced that it isn't too bad for kids to move on and tap on technology for the ease of convenience and reduced hiccups. There will always be other opportunities for money counting. Play monopoly more often! If your child's school is not one of the participating schools, you may send your principal a kind request with his/her email found here. And I think the best part about this programme is that, it works on an opt-in basis. There's no obligation or pressure to participate at all. If your school is participating and you chose to opt in, the smart buddy will be issued to every participating child Free. Or if not, it may be a good idea to start with the older level kids, like P2 onward. Just so the P1s have got some feel and sense of physical payout in their first school year. I do think this is one system that will give our kids longer recess time due to shorter queue time. No money sorting, simply tap and go! Together is better than alone. A quote highly applicable and true when it comes to shopping! When buyers come together with a big quantity of purchase, there is power in negotiation. Buyers pay lesser and sellers make more sales. It is a win-win for both. It will never be alone when you need buying power. Gathering interests and buyers can be done through Grouphunt. Grouphunt is Singapore's largest group buying platform for enthusiasts. Everyday, the community comes together to discover, discuss and buy the latest products with the belief that buying together is better than buying alone. Every product within is suggested, created and chosen by their enthusiast communities. A browse through it and you will know that they are some interesting and cool products around. Not the usual ones you see in our local shelves. It has a simple mechanism. If you have a product that you love and would like to hunt it below the Manufacturer's Suggested Retail Price (MSRP), you may start and share the hunt with friends who are high likely to support that product too. Once that product reaches 25 requests, the buying team enters negotiations by calling manufacturers to negotiate on behalf of the group. Once negotiations are complete, the Hunt is made LIVE, and you may make your PURCHASE. Payment is captured immediately so just sit back and wait for the item to arrive. Occasionally, there are also hunts with multiple tiers. More orders equals lower prices for everyone! So get sharing even after you have made your order! If the live hunt doesn't go through, you get your money back and the hunt goes back interest gathering mode. Don't give up! Heap Thanks to a parent who had previously started a hunt for OmieBox, that I was able to get hold of one. The hunt is already on its second run and currently collecting pre-orders for the next 2 weeks. Grouphunt would usually order a few extra units to make up for case sizes, or to account for lost shipments, missed payments, or late cancellations. They make these products available to us through the Grouphunt Marketplace. All products found in the Marketplace will have no minimum group size, and will be shipped out the next day. So if you have just missed out on a hunt, or would rather not wait to receive a product, the Marketplace is for you. 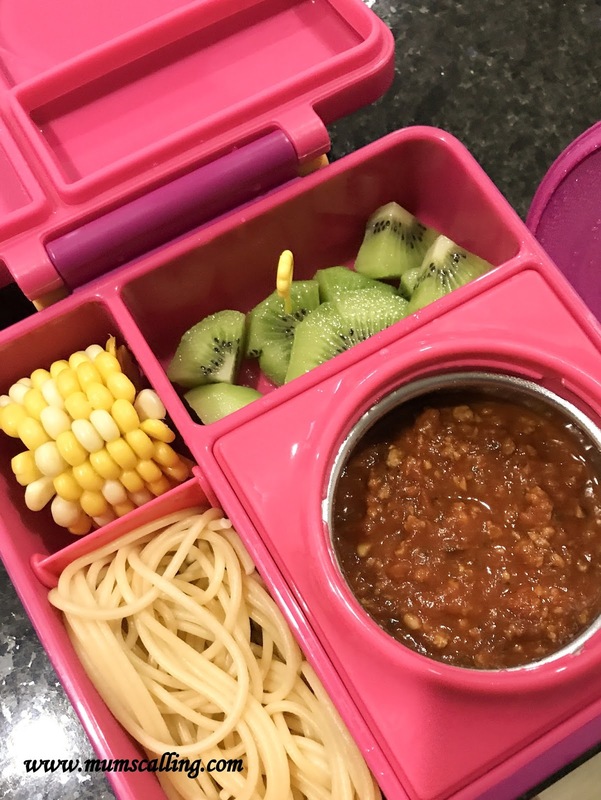 I was on a search for lunchboxes for Jazz, and a friend showed me an OmieBox, I was sold! I love it and I knew it was something I had been searching for. Js love soupy food and this was perfect to combine both wet and dry food, cold and warm in a single box. Only thing, it is bulky and may not be very ideal for school go. I used it most for Jazz's lunches in the car. Judge me not. I just feel that we are spending too much idling time while joining the car line to exit her school's carpark. It is definitely some good use of time settling lunch in car with home cooked food. The box is working well this far with no leak. 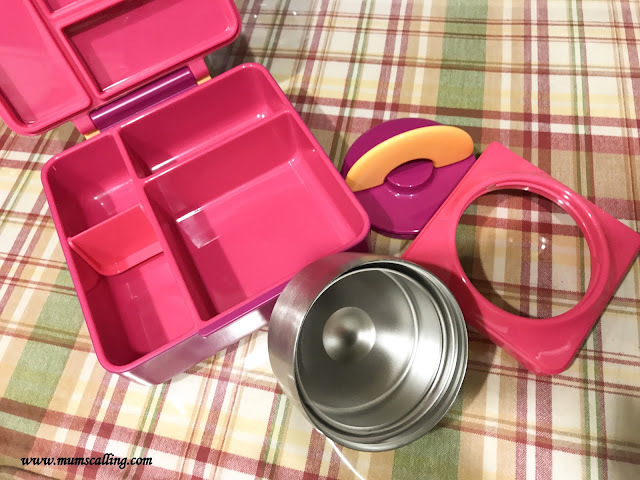 The lid is extremely kid friendly and easy to open. Best part Mums love is that the insulated container, which looks like a potential place to breed mold is extremely easy to wash and clean. The connecting parts of it are all removable! It may also be totally removed if you prefer to use the space for food that doesn't need to keep warm. A winning lunchbox, isn't it?!! So here's a deal on how you can get one. Grouphunt has started live hunt for OmieBox here, where all lovely readers will be given a $5 credit upon sign up via the same link. The box is running live and taking in orders (for 2 weeks) at $62.90. After the $5 credit, you may get hold of it at $57.90. It gets auto deducted upon payment. You are most welcome! Plonk in your order now! And get more friends who genuinely want this lunchbox to plonk in their love too. Kids' meals just got more exciting! 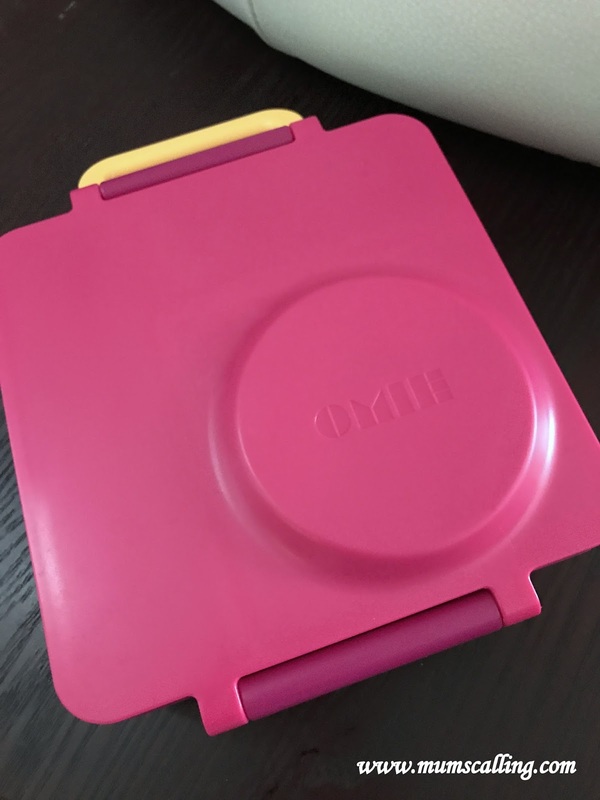 Disclaimer: A pink OmieBox was given for the purpose of this sharing. 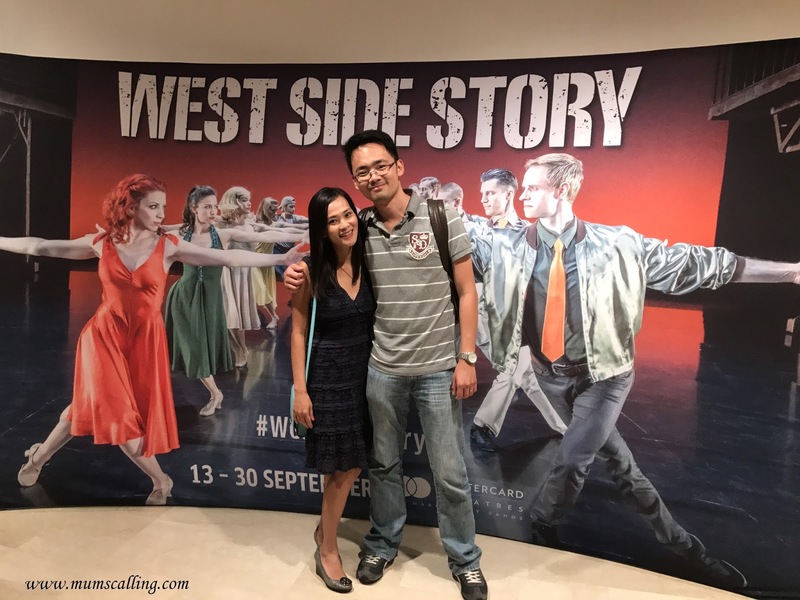 Inspired by William Shakespeare's tragic love story Romeo and Juliet, West Side Story is about a girl, a boy, two rival gangs and one fatal love affair that concluded from the crossed battle feud. Set in 1950s at New York, it spoke about race relations in the olden times of America, with their trying effort to make peace with governed aid. Between the two ethnic gangs - Americans and PR (originally written as Jets and Sharks), Tony and Maria sparked love which was not accepted by the people around them. The opening scene was introduced with a high energy dance by both gangs on street where audiences were led on to witness the rivalry between two teenage street gangs as Tony and Maria found themselves caught on opposite sides of this dangerous turf war. The initial scenes were a little more slow moving as it led us into the main of the story. Scenes after intermission were more forward looking where the tragedy unfolds. It was a good hold to our suspense. Some parts were made real with conversations in Spanish. This easy to enjoy musical adapted from Arthur Laurents' book is directed and choreographed by Jerome Robbins. 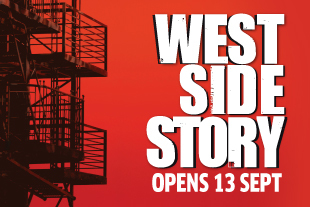 It has cleverly weaved drama, music, songs and dance into a timeless classic musical on stage. The crisp clear and high pitched vocals partnered with intended dance moves were simply astounding. It was rhythmic beauty on stage! If you love the classic and nostalgic, you will find familiar songs like Maria, Tonight, Somewhere, America and I Feel Pretty. Is feud and hatred ever over? Only after a tragedy, when Tony breathed his final breath. Both gangs assembled next to his body, indicating an end. Next scene was followed by both gangs dancing in white, which very much indicated peace and unison. This musical is a good catch for couple date night, but may not be appropriate for children as there are mature content and scenes. We did enjoy our night treat, without kids. The musical is about 2 hours and 30 minutes. Get tickets from sistic. Disclaimer: A pair of tickets were given the purpose of this review. Had my co-writer in again! Jazz did up her second book review. The book I would like to recommend is Fortunately, The milk. 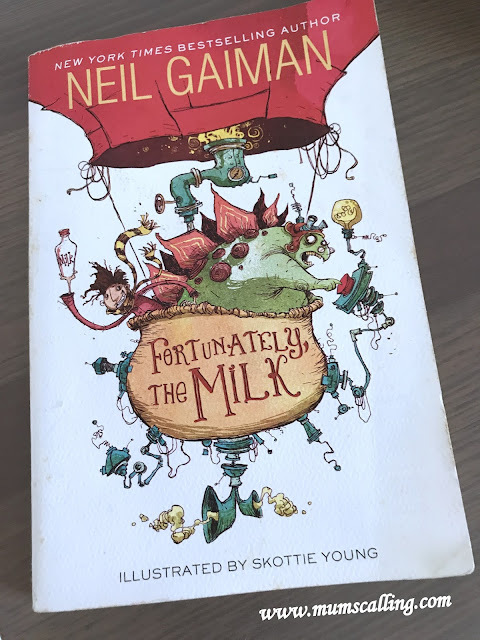 This wonderful story is about a father who went out to buy some milk, because his children ran out if it. When coming back with the milk, he encountered a dangerous, yet adventurous journey. He almost got eaten by vampires and almost got sacrificed to a volcano god. He was kidnapped by aliens and met some pirates. The pirates asked him to walk a plank, where there were piranhas and sharks circling in the water. He also time travelled back with his newly found friend, a professor stegosaurus. I enjoyed following his journey in meeting pirates, aliens, vampires and dinosaurs. Come join him as he saves the world from being redecorated by aliens! I bet you want to know how the aliens redecorate the world. Well, the aliens plan to change the landmark of the world by replacing with a picture of the landmark on a plate. He managed to save the world and tell this story to his children, but his children did not believe him. I think this book is very special not only for its content, but because of its title. It is inspired by something simple, that is milk. Do read this book! It is creative and fun! 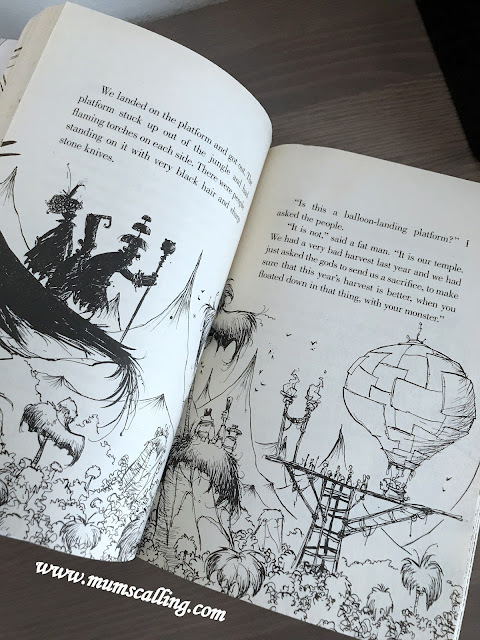 This book was written by Neil Gaiman. Illustrated by Skottie Young.